Update February 23 2017: New stock just arrived! Available on amazon now. 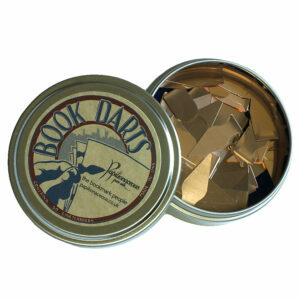 We came across Bookdarts a while ago now. 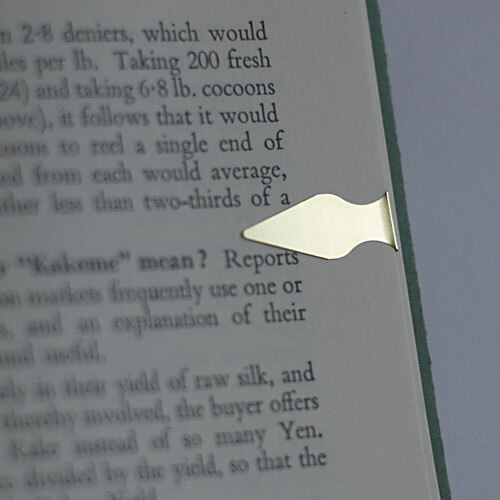 Similar to a bookmark in as much as they are place keepers, but also very different in that they keep a specific place, a specific line on a page – without the need to resort to the (sharp intake of breath) underlining in pencil that you may just let yourself use in your ‘working’ copy. Book Darts are precision-cut, paper-thin metal line markers that attach easily to any page. To use, place Book Dart at desired line, close book and press in. 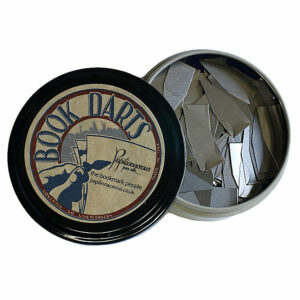 Sliding a Dart onto a passage assures you can recall it easily even in a closed book. Often judged indispensable by students, educators, and other readers of what has lasting value. A good idea we thought, so slightly odd that they have yet to be really taken up here – as far as we know that is. To address this issue we have ordered some stock and they are now available in the UK from Papilionaceous at Amazon. 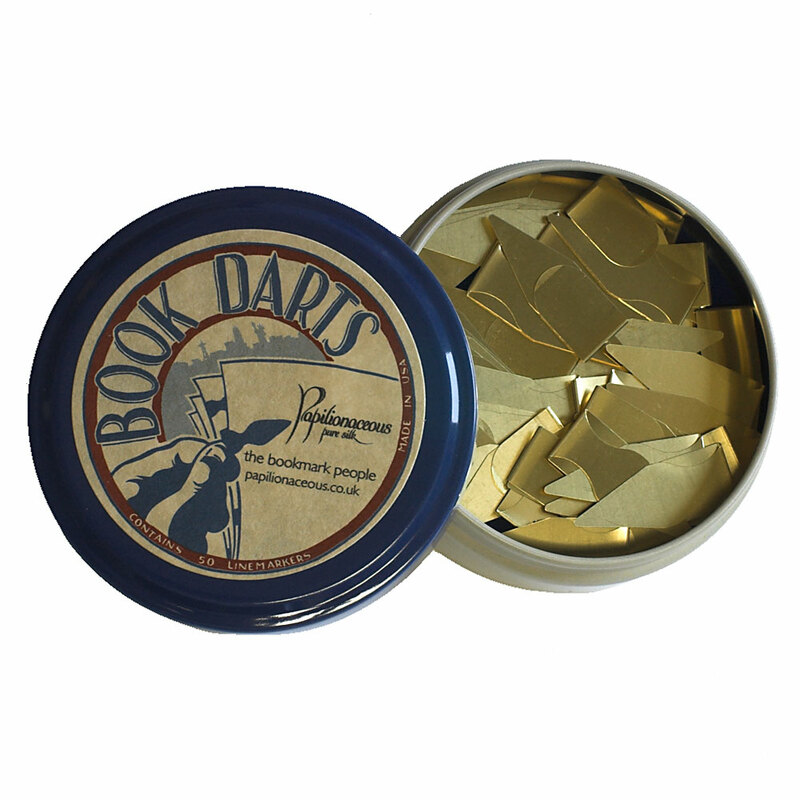 Book Darts are available from us in three colours: brass, bronze and stainless steel and quantities of 12, 18 and the tins of 50 pictured below.